35 episodes of Academy Rewind since the first episode, which aired on July 16th, 2017. 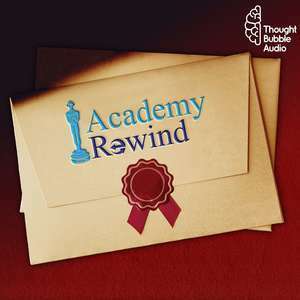 The hosts of Academy Rewind stop the podcast to talk the 2018 Academy Awards! The hosts of Academy Rewind discuss the Best Picture nominees for 1948! The hosts of Academy Rewind discuss the films nominated for Best Picture in 1958! The hosts of Academy Rewind talk the 1968 Best Picture nominees! The hosts of Academy Rewind discuss their best and worsts of 2017. Tim & Palmer are back in L.A. Confidential to go Good Will Hunting for 1998’s Titanic film offerings. It’s a Fully Monty in this episode because they’re As Good as It Gets. To be or not to vote Hamlet the best film of 1949? Tim & Palmer learn Canadian islands are pretty but deadly, ghosts are creepy, ballet is captivating, the treasure was within them all along, and that they are sick of these mother f’ing snakes in this mother f’ing pit. Episode 5: Best Picture 1969: Oliver!